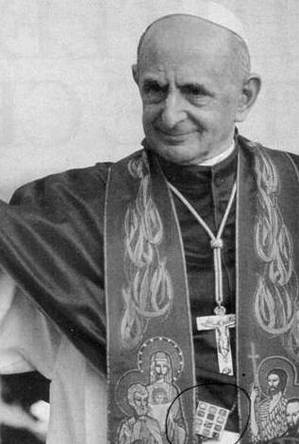 Today is the 45th anniversary of Populorum Progression (On the Development of Peoples) the 5th encyclical of the Servant of God Pope Paul VI. The 18,000 word letter deals with the socioeconomic issues of world sick building upon Blessed John XXIII's Mater et Magistra. Populorum Progressio was long accorded as the humanist manifesto because it examines and urges a tailored response of the educated and wealthier nations toward those who live in poverty (subhuman standards). The Pope questions many things among them the ownership of land that is not used for the good of people in need, of unbriddled capitalism, the regulation of markets, foreign aid to nations, the development of internal programs to aid citizens rather than exporting natural resources to other nations and the right of governments to develop performing lands for the good of others. Pope Paul urges some controversial things: higher taxes for the rich, the expansion of aid programs, higher prices for products from third world nations, a just wage for workers, and the establishment of just interest rates for monies loaned. Freedom, charity, justice, and peace are given to all by God. Continue reading Populorum Progressio, 45 years later Pope Paul's admonition remains true. 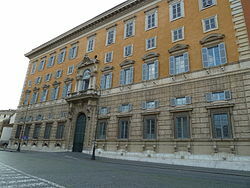 The Pope's office which handles matters pertaining to the Faith, the Congregation for the Doctrine of the Faith, is updating itself. Well, it's updating its presentation of the Faith as it pertains to the documents it produces. The new "look" of a webpage is the same dull thing, but documentation is being added in more categories and languages. They're aiming at using the web more effectively for the sake of teaching Truth. Cardinal Levada's intention is to provide a wider distribution of the work of the CDF. Blessings! The Jesuit-run School of Theology and Ministry has had a priest on their faculty who's refused to function as a Catholic until he gets an adequate explanation as to why women are not ordained as Catholic priests. He wrote to the Cardinal stating his position. John Shea, professor of pastoral care and counseling, now leaving his position because of dissent from Church teaching. Thanks be to God. The Jesuits have tolerated this act of scandal for too long. Shea's work in the classroom and beyond is not in line with his role as a professor who trains men for priesthood and the laity for ministry. He's not to pose his thinking as Catholic teaching nor is he asked by the Church to teach students for priesthood and ministry in dissenting theology. Recall: Saint Ignatius of Loyola asks an attitude of "thinking with the Church" not dissenting from the truth of Jesus Christ and His Church. The Jesuits at BC and when Weston Jesuit School of Theology before subsumed into Boston College existed, have long accepted and promoted professors who not only challenge Church teaching but openly reject the teaching authority of the Church as a matter of pride. Thinking with the Church was no longer an accepted method of "doing" theology. When I was at WJST we had several Jesuits under investigation for their divergent teaching. Each one of them saw ecclesial investigation as a badge of honor; their investigation was act of imperialism by the Vatican. One Jesuit priest actually said that not dissent from the Church is a sin against the Holy Spirit and another said that the Society of Jesus is the loyal opposition to the Church. Really. Good for BC, but I doubt the Jesuits are doing this because Father Shea is a dissenter and harming the formation of students. Many of say that conscience rights is under attack. And with good reason. Take for instance the US Senate's recent rejection of conscience rights viz. President Obama's healthcare fiasco. So, a reasonable question is what the understanding of the role of conscience in moral decision making? Continue reading Erroneous judgement --what does the Church teach. 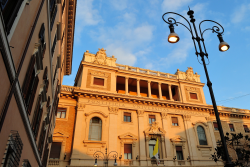 "Building a New World" is new initiative Interdisciplinary Centre for Social Communications of the Pontifical Gregorian University (Rome, Italy) beginning today, Friday, 2 March. This project is focused on film and the power film has in our lives. The premise is: a good film liberates, forms and calls us to a new way of seeing and engaging in reality. Therefore, the good people at the Gregorian are exploring how a good movie or documentary can invite people to greatness through the imagination and research how a poorly written movie with mediocre images can severely handicap one's openness to the true, the beautiful and the good. Just think of the good Father Robert Barron's "Catholicism" project is doing for those learning the Catholic faith for the first time or those renewing their faith; or how damaging "The Deputy" was to to the person of Pope Pius XII and the rest of the Church. Continue reading "Building a New World": exploring human and spiritual issues through film. This page is a archive of entries in the Faith & Reason category from March 2012. Faith & Reason: February 2012 is the previous archive. Faith & Reason: April 2012 is the next archive.